Table Tennis For The Many not the Few! Table Tennis England Official Ball – 2018-19. 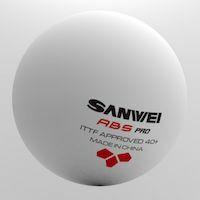 Perfect performance, bounce, durability and price! Table Tennis is a fast and dynamic sport requiring lightning reflexes, agility, stamina and split second decision making. At the highest level it is possible to play a 3 shot rally in 1 second. Table Tennis has been an Olympic sport since 1988. Table Tennis is great fun to play, can be played almost anywhere, by anyone, at any age and is fantastic exercise. Here at Topspin we are passionate about Table Tennis and we firmly believe in the health and quality of life benefits it can bring. 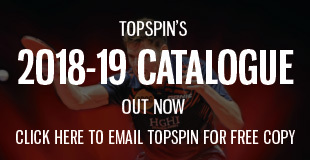 Topspin is run by table tennis experts and have carefully chosen high quality table tennis equipment for all types of budgets and abilities. Specialists in providing high quality table tennis tables and equipment into schools and colleges.